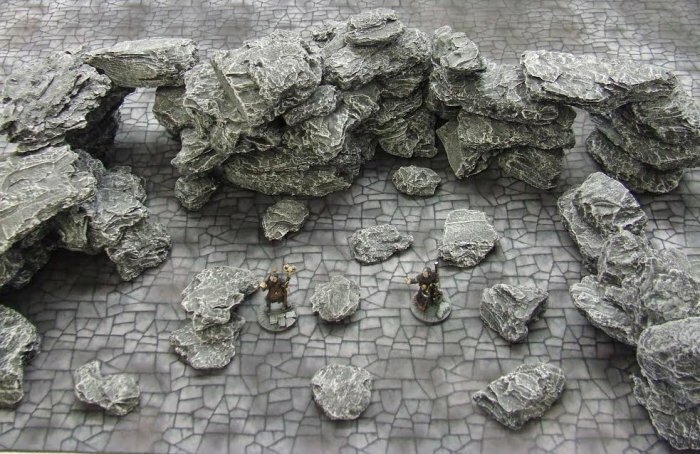 This Rock and Boulder Pack features 70 different (small, medium and some larger) sized rocks and boulders. They all come in various grey shades with highlighting. They can be used individually or placed and stacked together to form larger rock formations, ridges, caves, recesses, archways and tunnels.